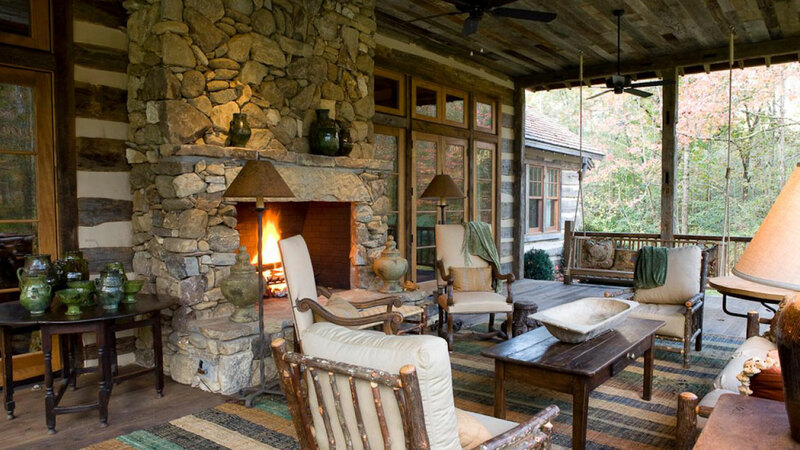 Having an extensive experience in outdoor heating makes us stand as a pioneer in providing our clients with the best outdoor heating solutions. 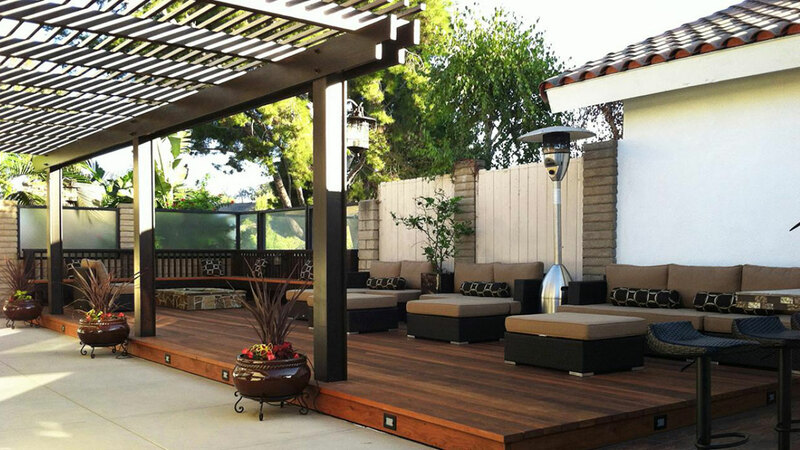 We have been recognised for providing solutions and products for outdoor heating, starting from, outdoor heating systems, outdoor heating lamps, and outdoor heaters all of which brings us to the top in providing the solution in Dubai, AbuDhabi, UAE, Gulf, Middle East, & Europe. 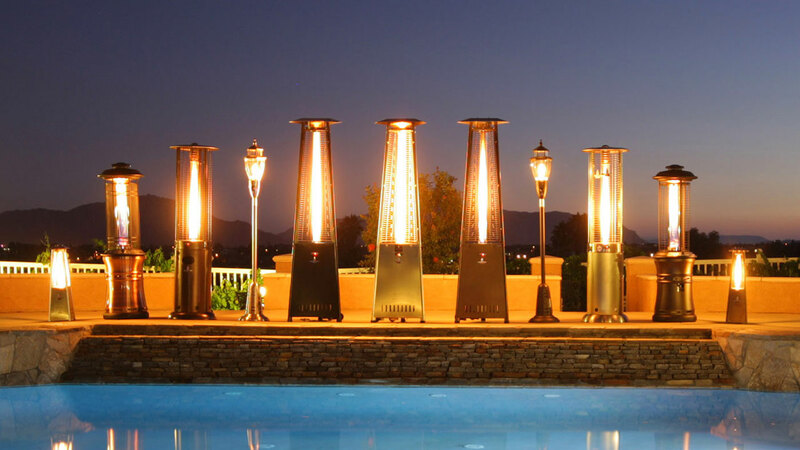 We offer outdoor heaters that can warm your surroundings during cold winters. 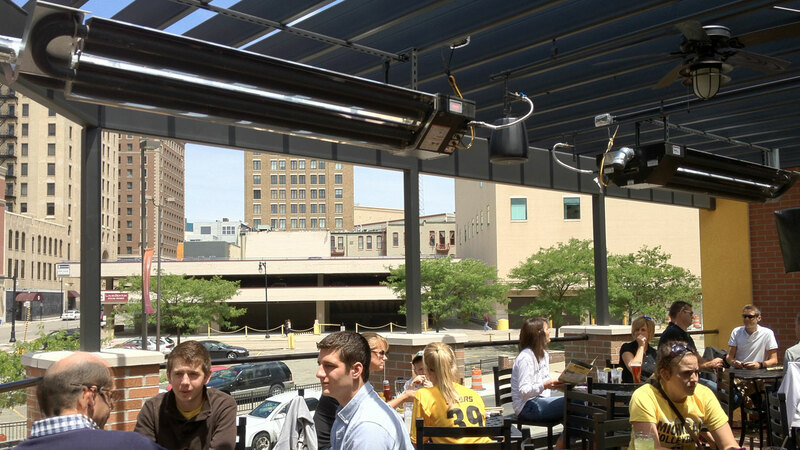 Our outdoor heaters are made of high quality stainless steel and is safe for both home & commercial use. It comes in different variants to suit your needs. Umbrella & Pyramid shaped outdoor heaters for a larger area coverage and electric powered Halogen heaters for smaller area. A burner on top of a post, burns liquefied petroleum gas (LPG), propane or butane, and directs the flames against a perforated metal screen. Heat is radiated from the surface of the screen in a circular pattern around the appliance. A reflector atop the burner reflects heat that would be otherwise lost upwards. This is because the reflecting hood is usually silvered which makes it a poor absorber/emitter of heat but excellent at reflecting infra-red radiation back. This reduces the amount of heat lost by conduction as silvered surfaces will not absorb infra-red light. Also, they are equipped with battery powered igniter for hassle free starting.